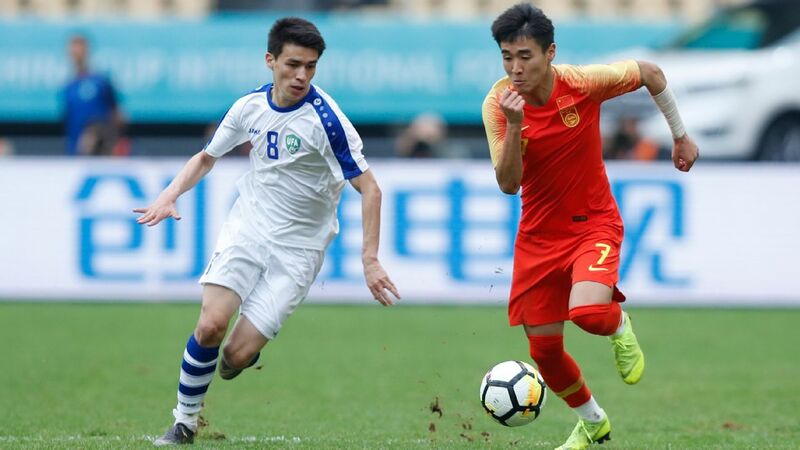 "The club has decided to give Wei Shihao a one-month suspension and the player should report to the club's human resources department to have a deep self-examination," Guangzhou said in a statement. "The club will decide if he will be expelled based on his self-examination. "Before the new Chinese Super League season, our club published a series of new regulations to better manage the players. We have higher requirements on our players, but Wei Shihao seriously violated the regulations during the China Cup." Wei has publicly and privately apologised. "I am very sorry and I did not expect that my tackle could cause such a serious injury," Wei said after visiting Shukurov in hospital. "I realised he was badly injured and I am really sorry about that foul." Wei, who has play 10 times for his country, added. "I sincerely apologise. Legs are very important to a soccer player, and nobody wants to hurt anyone. I hadn't touched the ball for a long time before the foul. I wanted to do something to slow their pace. It's truly unexpected to hurt him that badly." Fabio Cannavaro, who manages both Guangzhou and the China national team, defended his player. "Wei is capable with his own special characteristics," Cannavaro said "He is better at attacking than defending. Wei is not a bad kid. His dedication and eagerness to win the game resulted in the incident." Guangzhou have a close relationship with the national side. Not only did the seven-time Chinese champions, earlier in March, allow Cannavaro to step into the job vacated by Marcello Lippi in January, they also paid the ex-Italy boss' salary during his time as China head coach that started in October 2016. It remains to be seen whether Cannavaro, who started a second spell in charge of Guangzhou in November 2017, will continue his dual role and stay on with the national team. The 45-year-old said that he will meet with the Chinese Football Association to discuss his position.